Some of the most respected prognosticators in the financial world are warning that what is coming in 2014 and beyond is going to shake America to the core. Many of the quotes that you are about to read are from individuals that actually predicted the sub-prime mortgage meltdown and the financial crisis of 2008 ahead of time so they have a track record of being right. Does that guarantee that they will be right about what is coming in 2014? Of course not. In fact, as you will see below, not all of them agree about exactly what is coming next but, without a doubt, all of their forecasts are quite ominous. So says Michael Snyder (theeconomiccollapseblog.com) in edited excerpts from his original article* entitled Dent, Faber, Celente, Maloney, Rogers – What Do They Say Is Coming In 2014?. The following are quotes from 14 [supposedly] respected economic experts about what they believe is coming in 2014 and beyond. We are again in a massive financial bubble in bonds, in equities, in [other] asset prices that have gone up dramatically. By the second quarter of 2014, we expect the bottom to fall out. You saw what happened in 2008-2009, which was worse than the previous economic setback because the debt was so much higher. Well now the debt is staggeringly much higher, and so the next economic problem, whenever it happens and whatever causes it, is going to be worse than in the past… Be worried and get prepared…[A collapse] may not happen until 2016 or something, I have no idea when it’s going to happen, but when it comes, be careful. There is going to be a global currency reset. We are on the eve of a deflationary shock which will likely reduce equity valuations from very high to very low levels. If they allow interest rates to rise, it will effectively make the U.S. government bankrupt and insolvent, and it would make the U.S. government collapse. . . . They are preparing for a major societal collapse. It is obvious and it will happen, and it will be very scary and very dangerous. Disappointingly, it is much more probable that the government has brought us out of the Great Recession, only to set us up for the Greater Depression, which lies just on the other side of interest rate normalization. Eventually somebody recognizes this and starts dumping the bonds, and interest rates go up, and inflation takes off, and were off to the races. I think the rise in interest rates is the fatal sign which is going to ignite a derivatives crisis. This is going to bring down the derivatives system (and the financial system)…[and] there is going to be massive bankruptcies around the globe. I’m not sounding the alarm yet but in many countries the stock price levels are high, and in many real estate markets prices have risen sharply…that could end badly. I think world financial markets are extremely dangerous, unstable, and subject to serious trouble and dislocation in the future. the number of initial claims for unemployment benefits increased by 68,000 last week to a disturbingly high total of 368,000. That was the largest increase that we have seen in more than a year. for the week ending November 30th, U.S. rail traffic was down 16.3% from the same week one year earlier. That is a very important indicator that economic activity is getting slower. a survey just released found that requests for food assistance and the level of homelessness have both risen significantly in major U.S. cities over the past year…[with] requests for emergency food aid up 7% compared with the previous period a year earlier…. Unfortunately, if the economic experts quoted above are correct, this is just the beginning of our problems. 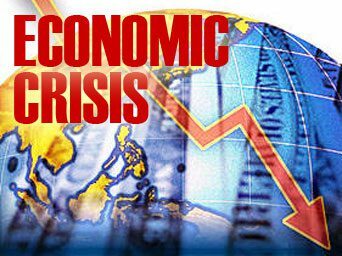 The next wave of the economic collapse is rapidly approaching, and things are going to get much worse than this.